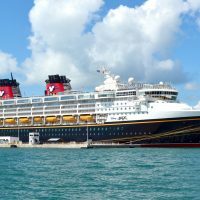 Disney World and Disneyland may be high on your family’s list of places to visit, but what if you are traveling with an infant? Can you visit the theme parks with a baby, and will everyone still have fun? Disney knows how to appeal to families, and parents can easily visit with babies in tow. Why visit Disney with an infant in tow? Children ages 3 and younger are admitted free to all Disney theme parks. While little ones won’t remember the trip, the free incentive helps families traveling with older children, or new families who still want to visit. A number of Disney’s rides are slow moving with open, group seating, where infants are allowed to ride in a parent’s lap. At Disney World and Disneyland, babies can ride on laps on the railroad rides, Jungle Cruise, “It’s a Small World,” Haunted Mansion, Pirates of the Caribbean, Many Adventures of Winnie the Pooh and similar rides. Some rides will take guests into the dark, so use your best judgment. 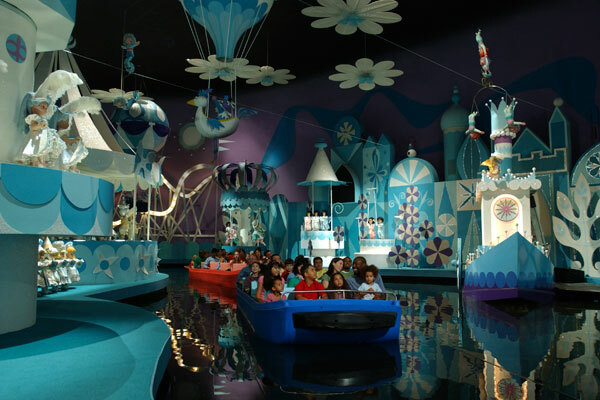 Play areas are available for young toddlers and infants, and include Mickey’s Toontown and Goofy’s play area in Disney World and Disneyland. In Disney’s California Adventure, little ones may like “A Bug’s Land.” There are some rides that spin and fly that may be modified for infants and young toddlers. The Mad Hatter’s Tea Party has spinning cups, for example, but they only spin if you turn the wheel. Dumbo may fly, but only if you want to do so. Riders can elect to keep Dumbo grounded. Ask employees stationed at each ride for more details to make your decision. Disney offers a Rider Switch program that allows a parent and older kids to ride a ride while another parent waits with an infant. Once the ride completes, parents can switch and the waiting parent can take the next ride. Baby Care Centers are offered in all six Disney World theme parks in Florida and California. These centers have rooms dedicated to new parents and small kids, including a private nursing room with rocking chairs and electrical outlets. Unisex changing rooms, a comfy sitting area, bottle-warming stations and even baby care items are available for purchase, including diapers, wipes, formula, baby food and over-the-counter children’s medicine. Baby Care Centers can be found near the First Aid Station along Main Street in the Magic Kingdom and Disneyland, in the Odyssey Center at Epcot, inside Guest Relations at Disney’s Hollywood Studios, near the Tree of Life at Disney’s Animal Kingdom, and next to the Ghirardelli Soda Fountain and Chocolate Shop in Disney’s California Adventure Park. The theme parks also feature changing stations in most restrooms, including men’s rooms. Beside the baby gear available in the Baby Care Centers, the theme parks also provide stroller rentals so families don’t need to bring strollers to the parks. Single and double strollers are available at $15 and $31 per day, respectively, and with discounts for multi-day rentals. Disney also partners with stroller rental agencies for strollers that can be used outside of the parks. Disney allows families to bring in backpacks with food and snacks, so you can feel free to enter any theme park with the items needed to accommodate babies, toddlers and even big kids. Kids ages 3 and under also eat free in many of Disney’s table service and buffet restaurants. Even with all of the amenities to make a visit to Disney easier for parents, Disney also understands that sometimes adults need a date night or a little time alone. 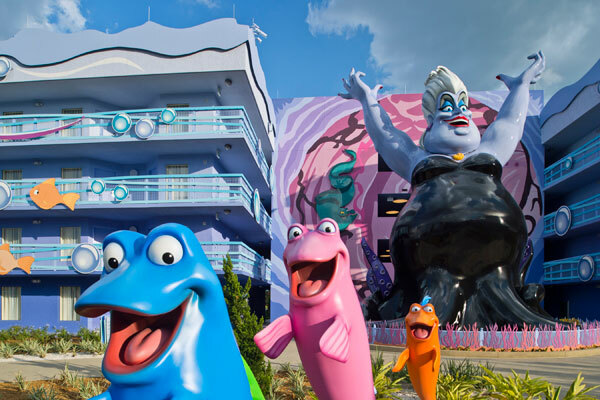 For guests staying in a Disney World resort hotel, a Kid’s Nite Out program brings independent babysitters to your room for one-on-one services. The Disneyland Resort offers the same type of service through its hotels. Not only are Disney theme parks friendly for all ages, but the resort hotels also offer special amenities. All Disney properties offer Pack ‘n Plays for infants, and have bed rails for small kids sleeping in standard beds. The resorts partner with A Baby’s Best Friend and other baby service companies to provide items you may need on your travels, from bottle warmers to car seats to strollers to diapers. 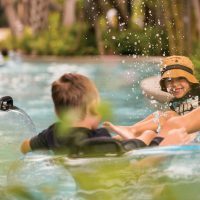 Visit the 10 Best Disney World Resort Hotels for Families and 10 Best Hotels Near Disneyland for our top picks.